A simple silhouette with a V neck and banded arm holes. 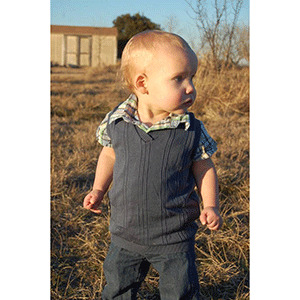 There is also an option for either a banded hem or a regular turned hem. 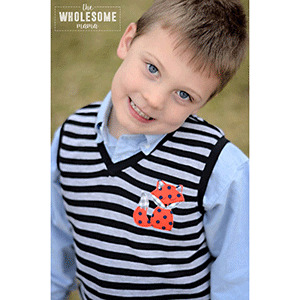 This pattern has been fully tested to work for both boys and girls. 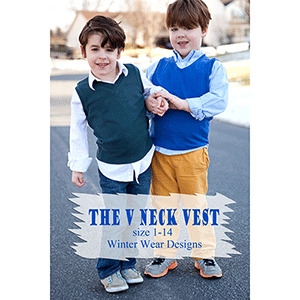 Make sure to choose your size based on your child's measurements and not their ready to wear size, it might be different. 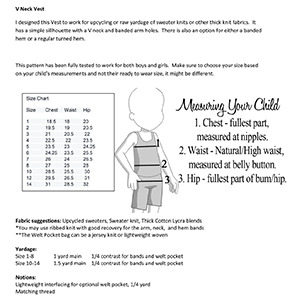 Suggested fabrics are cotton jersey, cotton lycra, and hacci sweater.